The Creative Campus is the second of Liverpool Hope’s teaching campuses and includes the historic Cornerstone Building, Reading Room, Cornerstone Café, and the Capstone Building and Theatre, and Gerard Manley Hopkins Hall. The campus is situated just outside the city centre and is convenient for all amenities associated with city living, while being away from the main hustle and bustle. 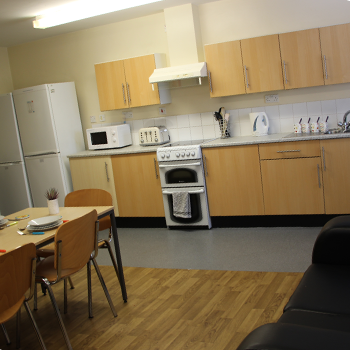 Living at Creative Campus, you’ll have access to a library, a reading room, an IT lab, a laundrette and various catering outlets. Being so close to the city centre, there’s a wide-range of shops, bars and restaurants within walking distance of the campus. The Gerard Manley Hopkins Hall has 188 rooms and is a modern purpose built hall situated in Angel Field, a beautiful landscaped garden surrounding the Cornerstone and Capstone Buildings, where Liverpool Hope's Creative and Performing Arts courses are taught. Accessible rooms are available in these halls. Costs include rent, electricity, gas and free internet (prices shown for the academic year 2019/20). We have produced a leaflet which illustrates how the cost of accommodation will affect how much funding is available to students, it can viewed HERE. 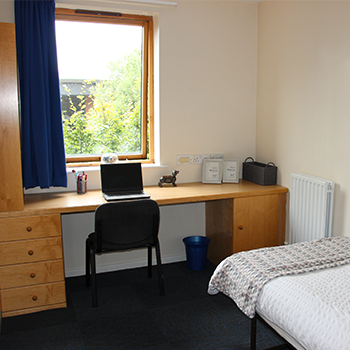 A deposit of £200 is payable when you accept the accommodation contract. This is refundable at the end of the contract, minus any charges for damages, lost keys or cleaning. The deposit is not refunded if the contract is terminated early (strict termination criteria applies).